This summer, take a killer road trip to Devil’s Cove. In his award-winning feature directorial debut, opening August 3 in L.A theaters, director Erik Lundmark serves up a roguishly electrifying indie take on Thelma & Louise that pits an interracial lesbian couple, fresh from a killing, against a dark highway. New girl in town Toni (Christelle Baguidy) is unhappy in her marriage to the vehement Rick. Not surprisingly, her eye catches that of another- Jackie (Chloe Traicos in an award-nominated performance), a woman who recently escaped a jail sentence involving the death of her child. When Rick (Cameron Barnes) gets wind of the passionate relationship his wife is having with Jackie, he erupts into a fiery rage. In an act of self-defence, Toni and Jackie end Rick’s life. To stay out of jail, the duo hit the road – one with many twists and turns in it. 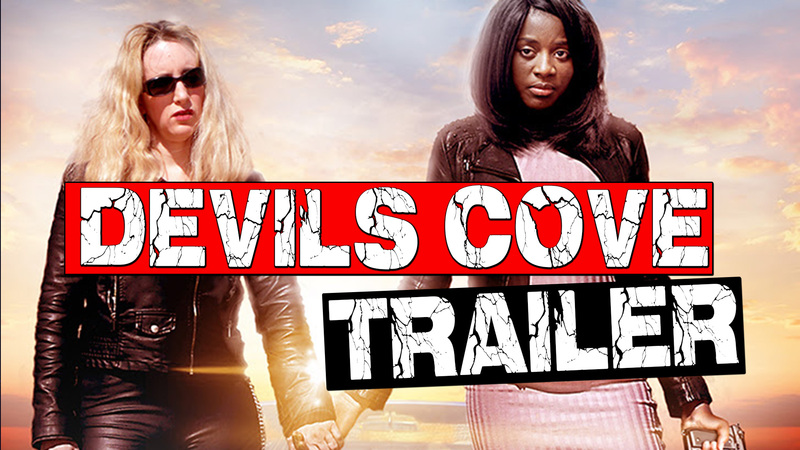 Made for just $10,000 by Leomark Studios, the truly independent "Devil's Cove" premiered at the New York City International Film Festival where it was nominated for two Best Actress awards (for Chloe Traicos) and Best Original Screenplay. Director Erik Lundmark also won a Global Accolade at the Global Accolade Awards. Chloe Traicos, Christelle Baguidy, Cameron Barnes, Westworld’s Michael Keyes and Sammy Anderson co-star in Devil’s Cove, opening in theaters August 3. Without Your Head © 2005-2016. Powered by Tyler's Engine v1.31. Page generated in 0.03 seconds with 7 SQL queries.